Funding Circle has lent its billionth pound. The pre-eminent marketplace lending platform for small businesses becomes only the second British platform to hit the £1bn mark. Zopa was the first, passing the milestone in August this year. The achievement caps a breathless year for Funding Circle. To reel off but a few landmarks, the platform broke into continental Europe through the acquisition of Zencap in October, successfully raised £150m via IPO for the world’s first platform-linked investment trust in November and became the UK’s first peer-to-peer lending “unicorn” in April, after having raised $150m in equity capital. It took Funding Circle 1,952 days to hit the £1bn mark. Over half of the platform’s cumulative lending – a whopping £523m – has been originated in 2015. The £1bn is comprised of 15,369 individual loans. The platform has a total of £670m of principal outstanding. As Funding Circle has grown, so too has the degree of institutional activity within the marketplace – on both sides of the pond. 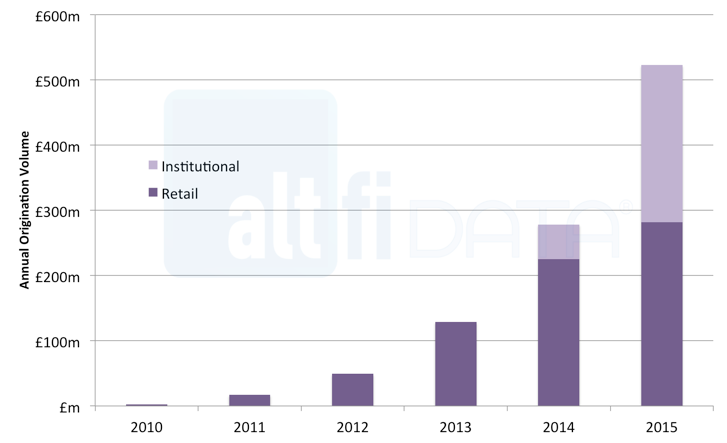 The following charts – which were put together by AltFi Data – aptly demonstrate the platform’s evolution. 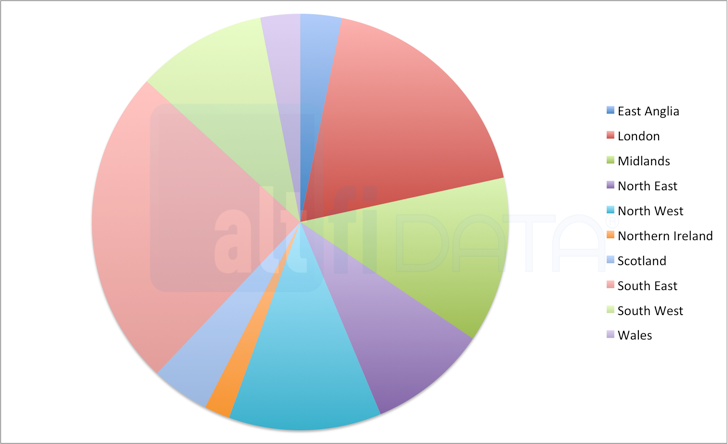 In fact, best to hand over the reins to AltFi Data from here, which has also provided breakdowns of Funding Circle’s lending by geography and by sector. 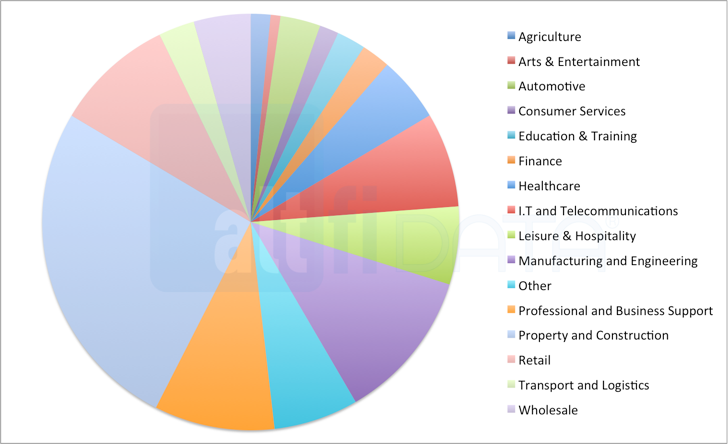 Interesting to note that the “Property and Construction” sector stands out as the platform’s most lucrative source of deal flow. 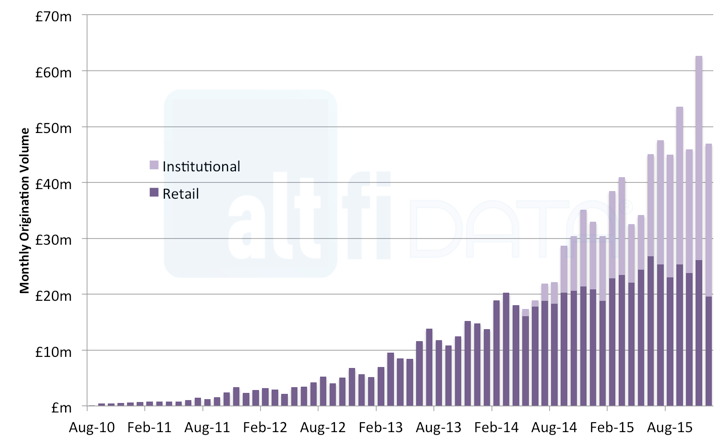 Funding Circle crossed £100m in property loans to date in early October 2015, and we expect this to be a growth area for the platform in the coming year. Congratulations to the Funding Circle team. What a great landmark. Congratulations to the whole team.